I have noticed many aftermarket brands of Oil Filters are still recommending the same OIL Filter that is used on the Series 1 RX-8's...TOTALLY INCORRECT. You may not be aware the 2009-2012 S2 RX-8 has a higher oil pressure circuit and a 50% + higher Oil Filter by pass rated valve-spring plate. So when the Oil Filter's paper cone is old or becomes blocked the engines Oil Pressure will lift the filter cone by about 4 mm and allow engine oil to still flow BUT your engine oil will no longer be filtered. If you use a non genuine S2 Oil Filter or and S1 Oil Filter that has a LOWER By Pass PSI rating it could within a very short period of Oil Filter use have issues of filter not filtering your oil because oil is being by passed too soon. So until Mobil and Fram and other makes can guarantee their By Pass Rating to you in PSI, I WOULD NOT USE THEM...EVER.. Last edited by ASH8; 12-18-2011 at 04:32 AM. Last edited by SARRAS; 12-31-2009 at 01:13 AM. which year are the series 1 rx8? 2004 - 2008 Model Year RX8's are Series 1. Series 2 begin with the 2009 Model Year. I've been using the K&N HP-1010 for the past 4-5k miles or so. Do you think it's too late to switch back and what kind of effects could it have done? No it is not or never too late to switch back, you should have read the advise on this forum before you went and got the K&N....Naughty! Seriously, your car should be OK, just change back to N3R1-14-302 it is probably even cheaper than K&N. I've just sent the following to K&N tech support - it will be interesting to see what answer, if any, they supply. I note with interest that you specify for the RX-8 - Series 1 (2003-2008) HP-1008 and for Series 2 (2009+) HP-1010... and I further note that the PSI Relief Valve for BOTH is 11-17 PSI on these filters. Given these figures, can you in all confidence recommend the HP-1010 for the Series 2 RX-8? Yes, I have also done emailing to these suppliers with some response, but, no concrete remedy......like.. 'thankyou for your email, we have passed it on to the appropriate webmasters', etc, etc..
Have made MNAO aware of it also, so perhaps they may "heavy" these manufacturers/sellers. IN passing, from memory there is no other Mazda filter that has has such a high BP rating as S2 Oil Filter. Anyone know the oil filter bypass rating for Royal Purple #10-2867? I got a little curious about this and called K&N about it. According to the Tech guys I spoke to, the bypass valve in any oil filter is designed to open when the filter media gets too clogged to efficiently move oil, creating pressure inside the filter. This is to make sure the engine never gets starved of oil due to a clogged filter. The filter media in the K&N filter is much more efficient at moving oil than the Mazda filters, negating the need for the higher pressure valve found in the OEM filters since pressure won't build up as easily inside the filter. Because the filter media moves more oil, when it gets clogged it is still moving more oil than the OEM filter does when the OEM one is clogged. This necessitates a lower valve pressure because the engine will need that oil if the filter clogs. Bottom line: Since the valve only comes into play with a REALLY clogged filter, then just make sure you change your oil. It's just a safety feature designed to keep your engine from being starved of oil if you happen to forget to change your oil. It can be equated to an idiot light on the dashboard. Take care of your **** and you won't need to worry about it! Last edited by much2saxy; 01-01-2010 at 12:36 AM. Really, well yes I explained in my original post why there is a by pass valve/spring...so no new news there.. This filter is newly made and ONLY ever used on the S2 RX-8. You just took K&N's very loose "theory"? ?, without your expert having ANY idea behind the history and why Mazda changed the filter in size or BPV. I don't care what oil filter brand, they ALL catch Engine Oil Gunk and Metal and they will ALL block in time, that was just SPIN given to you. 1. The S2 oil filter for the first time ever in a rotary has moved from the rear of the engine to the front, now about 3 inches from the Oil Pump instead of 25. We know the S2 pumps higher OP and this is another reason why there is a higher By Pass rate. As I said in the first post, if you use a(any) lower BP rated filter, and say after 2500 miles it starts to fill with debris, that along with the higher Oil Pressure trying to filter the Oil could lift the inner filter body and go into by pass mode...because the valve/spring is too weak to prevent it going into by pass..
sorry, but that is just BS, HOW are they more efficient? ?, they ALL work on the exact same principal, OIL has to pass through a paper constructed membrane filter to BE filtered. Mazda engineers (and their Oil Filter maker Toko Roiki) design things for worst case scenario's, or part replacement at the correct service intervals, not for guys like us who change oil and filters more often. So, do you really want to risk your engines oil not being filtered? ?...because you would never really know if your filter went into BP mode. BTW, I will put the quality of a Genuine S2 filter up against any other brand. The K&N is a conventional filter like many others. Across the board, OEM filters are generally of very good quality. There is nothing special about the K&N. K&N It's a white Mobil 1 filter with a nut welded to the back. It's made by Champion Labs using what I call their "performance" design instead of the "Ecore". Save the $2-$3 plus shipping and get the Mobil 1. Quoted from one of a multitude of oil filter comparos on the net. I know...but I like having the nut on the back because it makes it easier to change. No struggling with a filter wrench, just a 1" socket and out she comes. If you believe your K&N is so good...good on you!..you know.. I wonder how many Oil Filter 'brands' you have actually cut open and compared over 30 years?? ?...how many?? 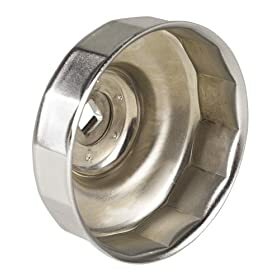 The By Pass Valve...is not really a valve at all, it is a small round spring or flat spring plate (Mazda now uses) that will allow lift of the filter paper cone when oil can't pass through..so oil will BP. You believe what you want, the position of any component in an Oil Circuit does make a difference even with positive displacement oil pumps..do some looking around here..
And you failed to answer the question as to WHY did Mazda increased the Spring Plate in their oil filters in S2's...BY PASS Pressure?? And you don't think Mazda and their Oil Filter maker Tokyo Roki "engineers" don't put any thought or effort in what they design?? Yeah, my oil is still "Honey Brown too when put on a white cloth" at 3000 miles and I use DINO..
You're right. There is nothing wrong with the K&N filter. But it is a standard mass produced Champion filter, internally identical to all the other Champions of that grade. Champion manufactures filters for dozens of aftermarket people. With all due respect, you are kidding yourself if you think there is something special about it's filtering capabilities compared to all the other mass produced filters. If you like it, by all means use it, but it has no special qualities. Most of K&Ns efforts are spent on marketing. Their products are fine, but they go to great lengths to confer them with extraordinary qualities they don't really have. Yeah I have used the K&N but only because it was included in the Autozone special but after some research I bought OEM mazda's for much cheaper. Yep, I use the same Oil Filter "HAT" to remove my Oil Filter...EASY!! A 3/4 ratchet is huge,maybe 1/2" . S2's stock pressure will go ABOVE 17 psi EASILY, so what does that mean? the poor little K&N valve(spring) will pop and hey, your oil will be bypass 1/2 the time. even under "normal" operation. 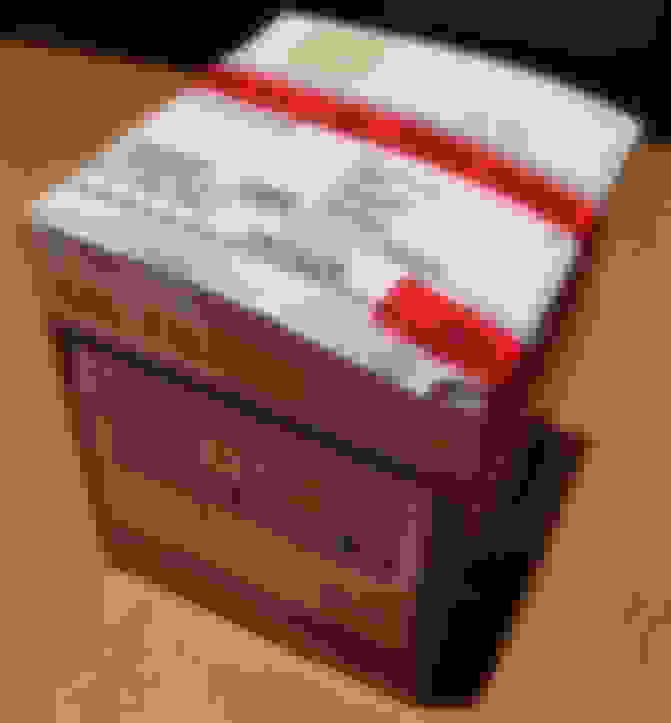 There is nothing wrong with K&N's stuff, I use them, but for the S2, Its either Genuine Filter, or might as well keep the old one in place until you can source a new one. Last edited by nycgps; 01-10-2010 at 07:52 PM. Sorry to be a smart ***, but 9K bought Series II Filters (Shown in his pic), they have only been sold in the new Mazda Parts Box and is the Genuine Parts Box. 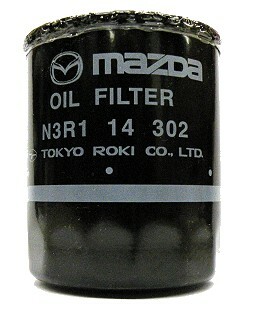 The Old Blue and White "Mazda" box should not be N3R1-14-302 (S2) Oil F.
well, yeah I am using the OE size Oil filter. Cuz its OE car, so yeah, OE filter is fine for me. Before you buy a tool(I know they are pretty cheap) to do it, why not try by hand? I am right handed and was able to unscrew it with my left hand laying on my back. It was not loose by any means and took a bit of effort but you probably dont even need the oil filter wrench.